Learn all about the history of Hermannsburg in Western Aranda country and how the European settlers and local Aranda people built a thriving community, despite their differences. Along the way, enjoy the sights of the West MacDonnell Ranges including, the ancient Finke River Bed. 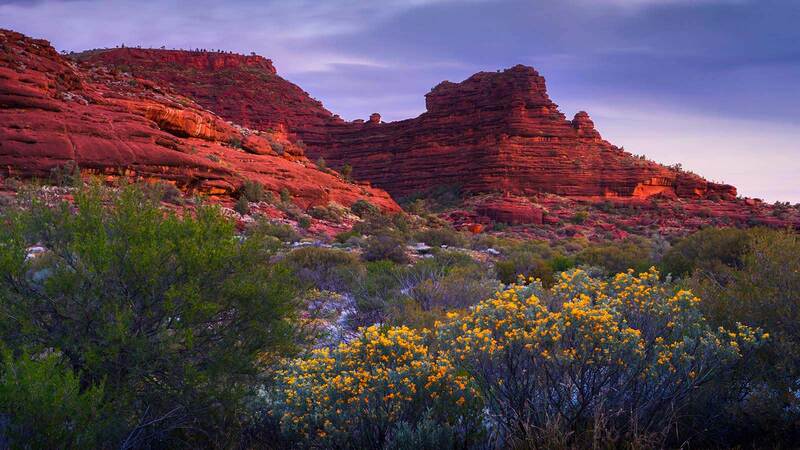 Departing Alice Springs, you’ll head through the West MacDonnell Ranges to the historic precinct of Hermannsburg for morning tea. While there, you will inspect historic buildings, displays, the Namatjira Gallery, and enjoy a Ploughman's Lunch at Hermannsburg Historic Precinct before heading along the ancient Finke River Bed to the beautiful Palm Valley. After an inspiring drive into Cycad Gorge and guided walk amongst the relict palms, you will head back to Alice Springs, taking in the views of the fading light reflecting off the MacDonnell Ranges. Tour departs from 12 Power Street in Alice Springs, Northern Territory at 7.30am, returning at 5.30pm.